… Mi diletto anch’io a girovagare in rete. Quello che trovo mi sorprende sempre, a maggior ragione quando si parla di un nostro iscritto, ma soprattutto quando un grande arciere come Eric afferma che: “L’ultima freccia è stata sicuramente la più difficile perché siamo entrambi allo stesso livello.”. Come faccio a non condividere. The championship host collected four gold, one silver and one bronze in the junior categories. 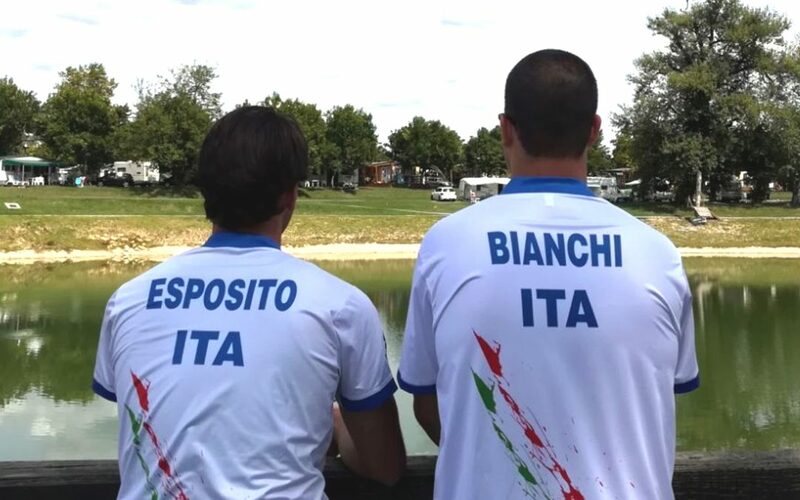 Italian junior barebow archers Eric Esposito, David Bianchi and Natalia Trunfio; recurve junior woman Aiko Rolando and compounders Sara Ret and Jesse Sut all won individual medals at the 2018 World Archery Field Championships in Cortina, Italy. The barebow junior men’s gold medal match between Esposito and Bianchi went to a single-arrow shoot-off after the two were tied at 41 points after the four targets. Bianchi took an early lead of eight points after the first target, 16-8. Esposito then reduced his deficit to five after the second target, 26-21, and then to only three points after the third, 38-35. Esposito opened the fourth and last target with a four and followed with a miss; Bianchi with a two and a one. Esposito landed his last arrow in the two. Bianchi, needing one point to win, missed the target and sent the match to a shoot-off. “We had the same opportunity to win and getting into a shoot-off at a world championships is challenging,” said Eric, who scored a four to David’s three on the 45-metre uphill tiebreak target to take the match.